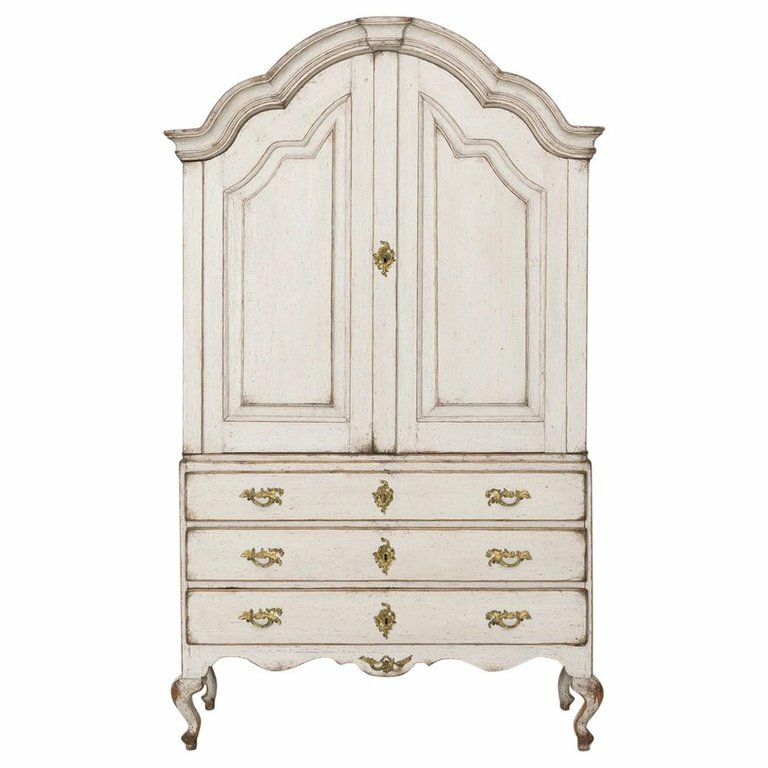 18th Century Swedish Rococo Period Painted Linen Press Cabinet | Maison & Co.
An 18th century two-part Swedish linen press or armoire from the Rococo period with original gilded bronze hardware, locks, and keys. 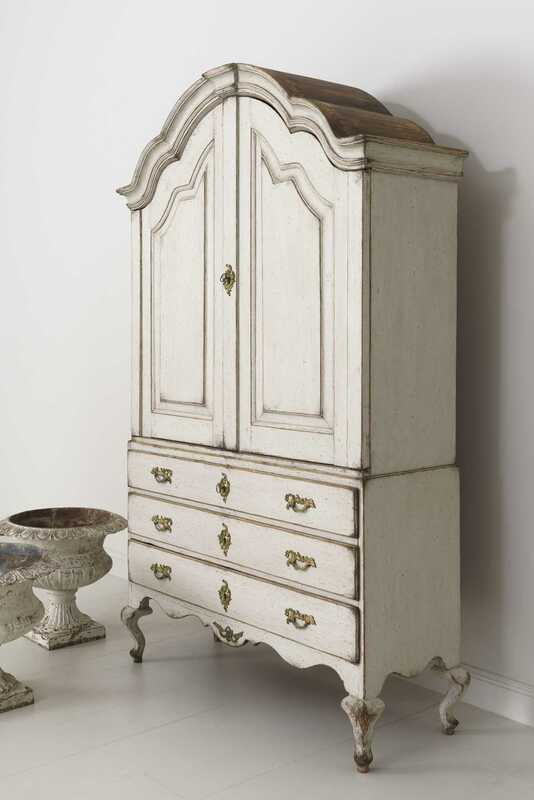 This cabinet is beautifully proportioned with a gracefully arched pediment cornice and curvaceous cabriole legs. 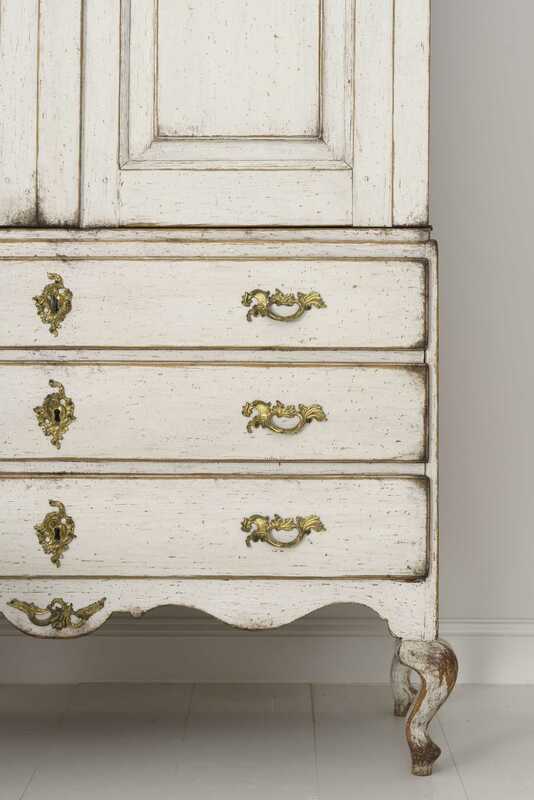 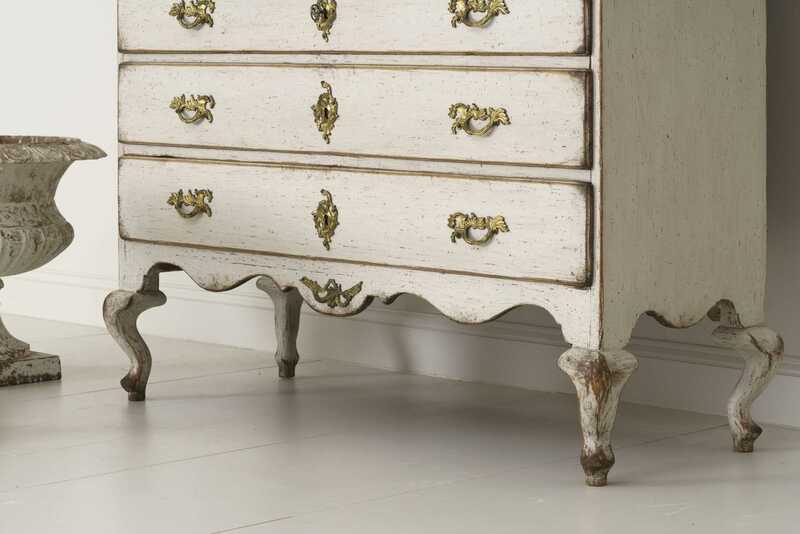 The antique patina is a neutral, light ivory. 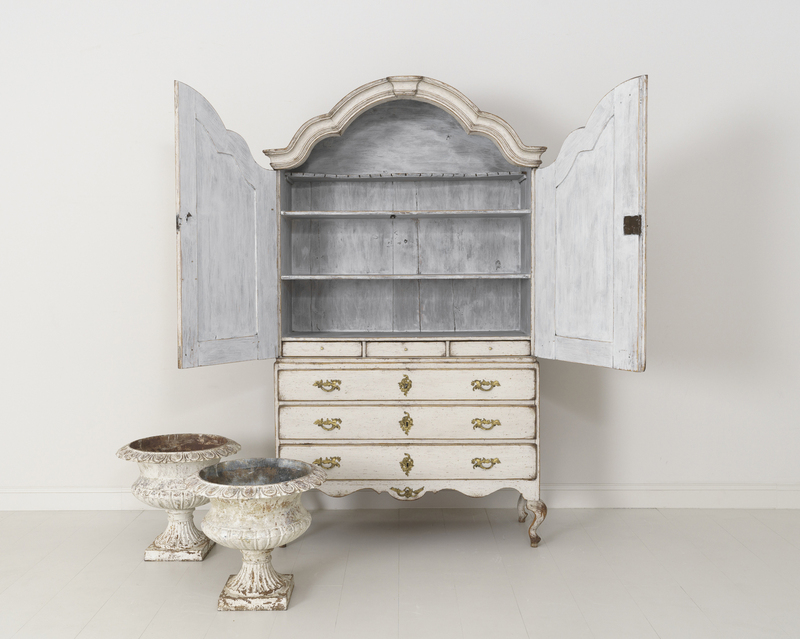 The interior upper cabinet has a whitewashed finish and contains three drawers below three fixed shelves, the top shaped and slotted for spoons. 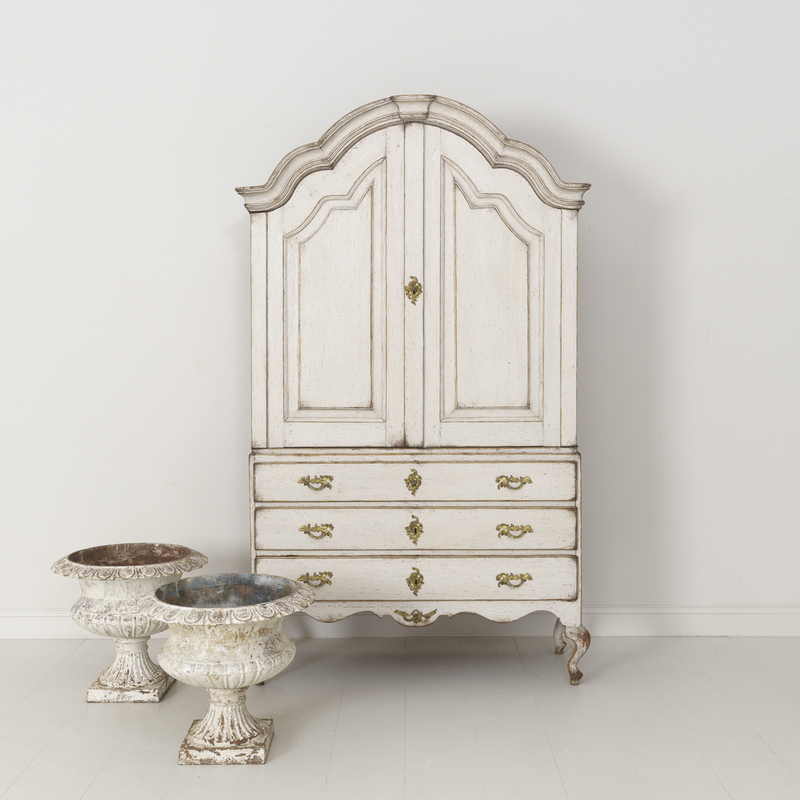 The bottom cabinet has three drawers above a shaped apron adorned with a gilded ormolu. 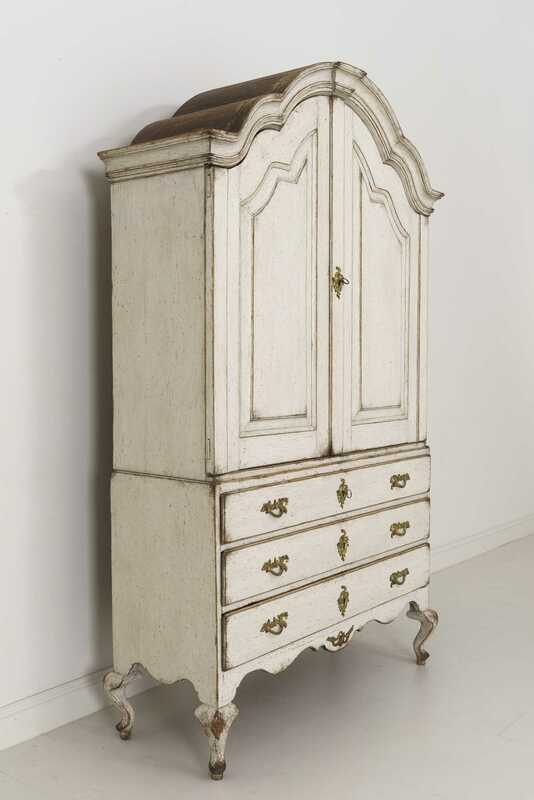 A grand size with excellent storage. 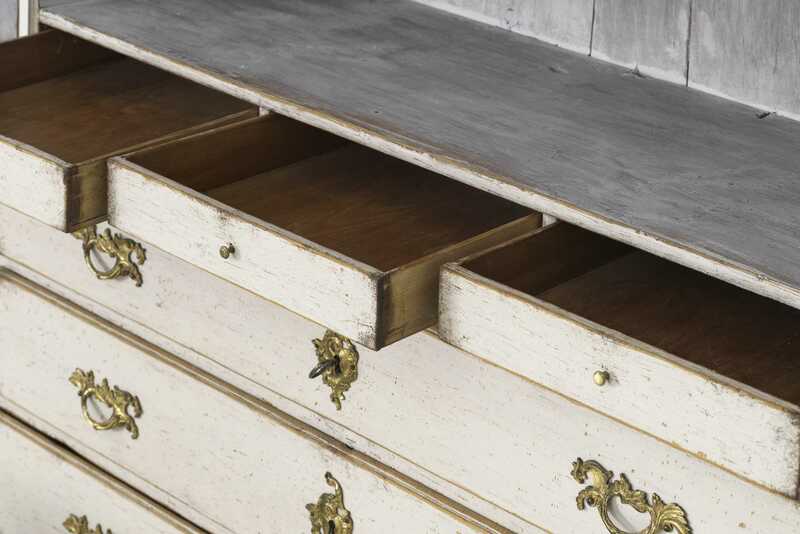 The inside drawers are 15.5 inches wide. 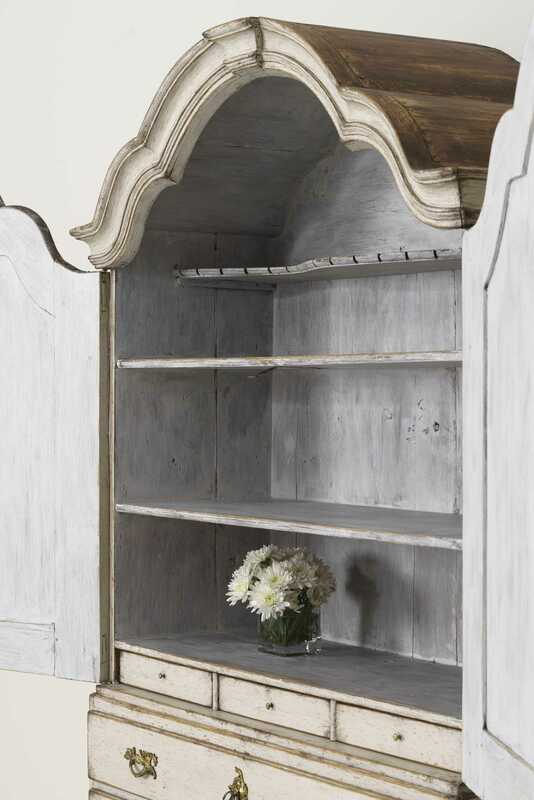 The shelves are 47.82 inches wide. 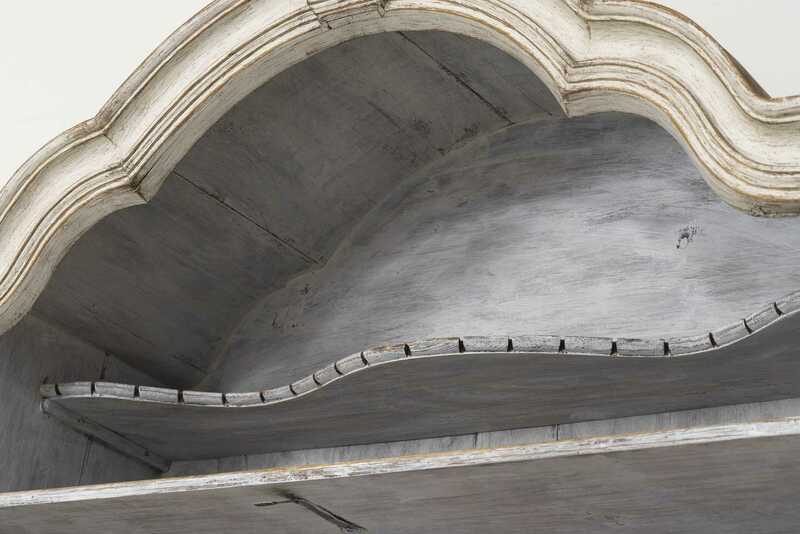 The two lower shelves are 16.13 inches deep and the top, shaped shelf is 10.75 inches deep.